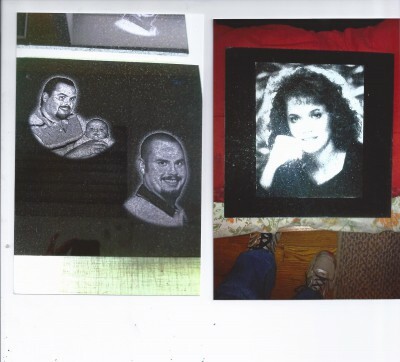 Description: I now offer portraits on granite, done by our new impact etcher. These portraits offer the detail and precision of a lazor etching, but with the long-lasting and beautiful look of hand etching. These can be done on granite tile as well as monuments, and make beautiful gifts. To order yours, please contact me by phone or email.